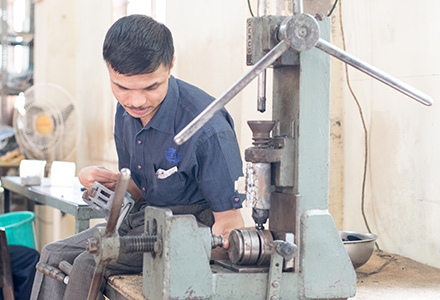 An Orthopedically Handicapped Divyang person inserting die into the machine. With the strong sense of touch Visually Impaired Person clamps the die by rotating spindle. 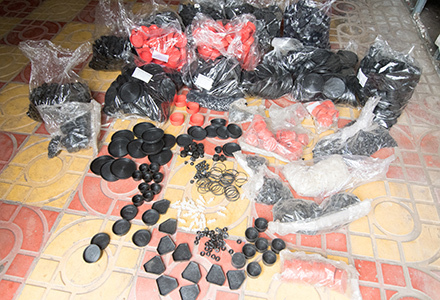 Hearing impaired Person putting specific quantity of raw material at exact place into the machine. Mentally challenged person, using his high physical strength rotates the wheel on the machine and applies pressure on the die to inject the material. 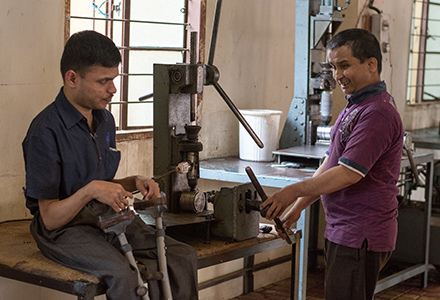 Once the material is injected in the die and job is performed then wheel is unrotated and pressure on the die is released by Mentally Challenged Person. Visually Impaired Person then unrotates the spindle and Orthopedically Handicapped Person pulls out the die from machine and final product is taken out. 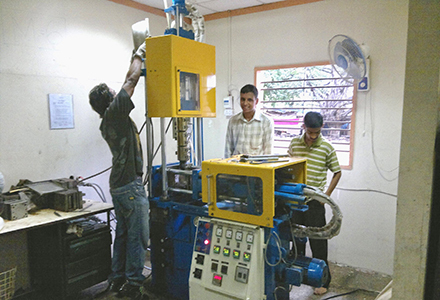 Hearing impaired Person and Mentally Challenged Person working on automatic plastic injection molding machine. 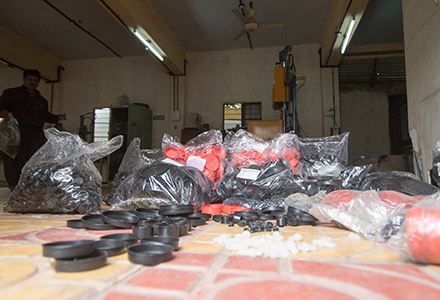 Manufactured Products are then assembled and counted by Visually Impaired Person and Orthopedically Handicapped Persons. 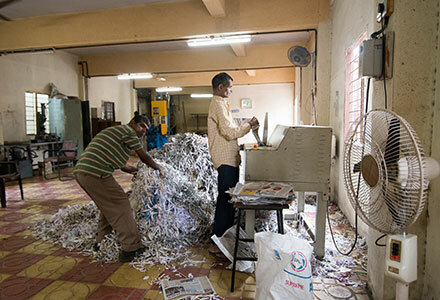 A Visually Impaired Person inserts waste paper into the shredding machine and Hearing Impaired person collects the shredded papers for dispatch. All categories of Divyang persons are trained in preparing paper bags upto 5 Kg weight carrying capacity from waste papers. 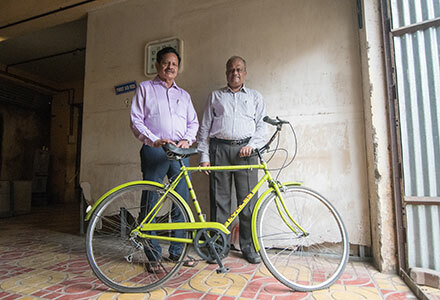 Scrap bicycle converted into new Geared Bicycle by Divyang persons at EDARCH.